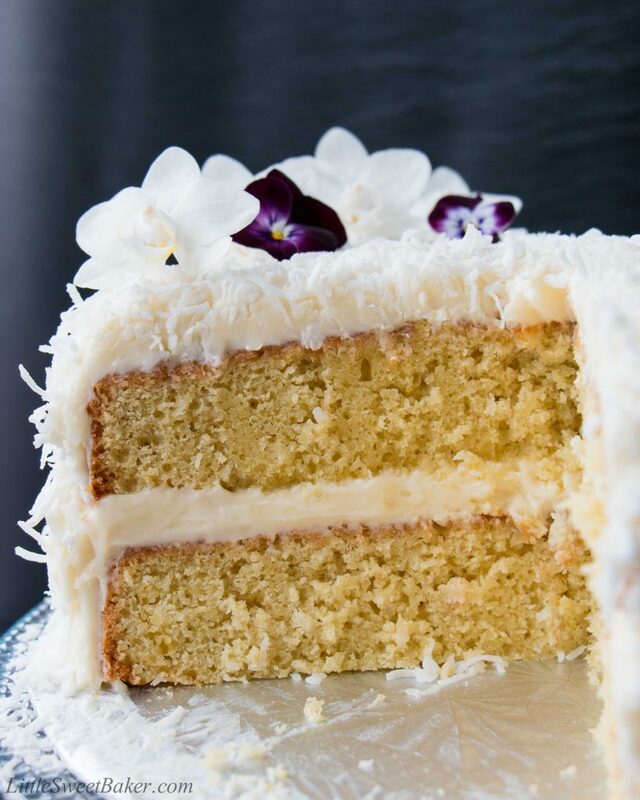 This delicious made-from-scratch coconut cake is infused with natural coconut flavor, and topped with a sweet-tangy cream cheese frosting. I love the taste of coconut, but it has to be REAL coconut because there’s just something about coconut extract that reminds me way too much of Hawaiian Tropic sunscreen, so it makes me feel like I’m eating sunscreen. 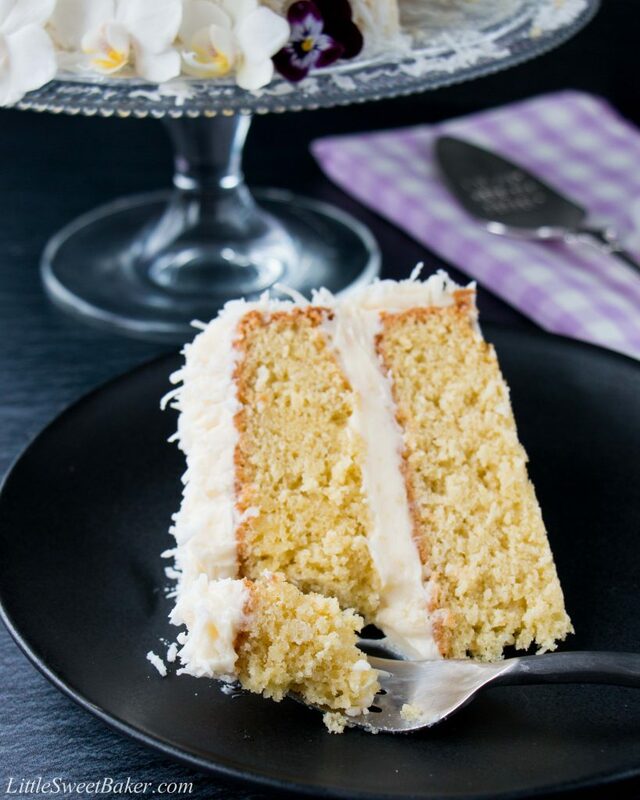 This coconut cake recipe comes from Ina Garten. 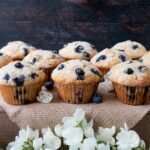 The recipe is simple and authentic, plus you can’t go wrong with an Ina Garten recipe. The only changes I made where to replace the milk with coconut milk for more coconut flavor. And because of that, I reduced the amount of butter to compensate for the extra richness from the coconut milk. I also decreased the almond extract because I didn’t want it to compete with the coconut taste. 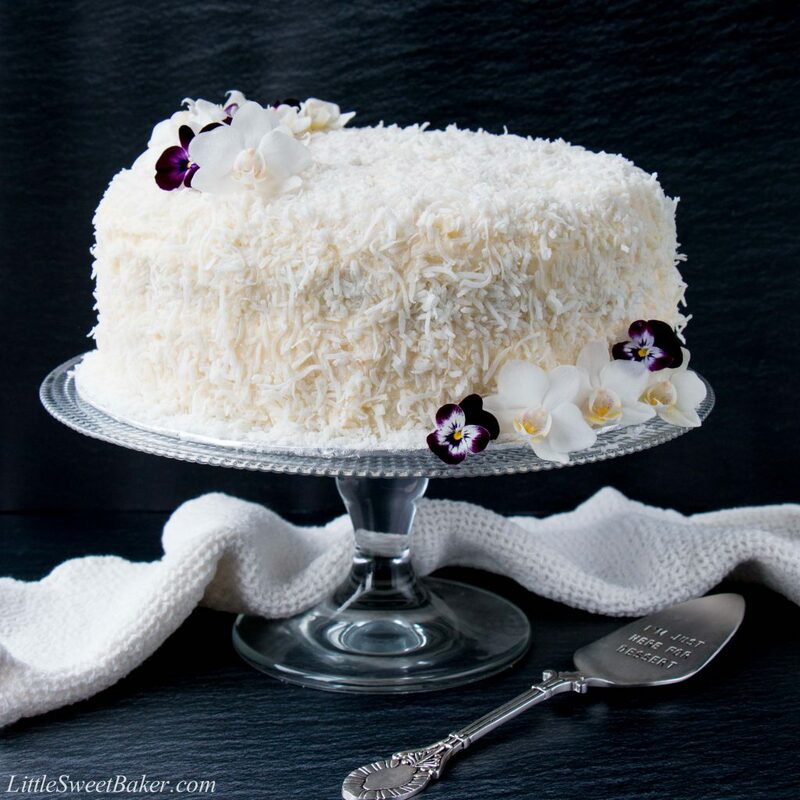 This coconut cake is moist and has a delightful natural coconut flavor. It’s covered in a rich and creamy cream cheese frosting, and decorated with shredded coconut to give it a rustic homemade charm. Preheat oven to 350F. Grease and flour two 9″ round baking pans. 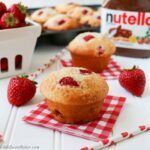 Using a stand mixer with paddle attachment, cream the butter and sugar together until light and fluffy, about 3-5 minutes. Add in the eggs, one at a time, mixing well in between. Add in the vanilla and almond extract and mix well. With the mixer on low speed, add in 1/3 of the flour mixture, followed by 1/2 of the coconut milk. Repeat. Stir in the remaining flour mixture until just combined. Then fold in the shredded coconut with a rubber spatula. Divide the batter evenly into the prepared baking pans. Bake for 25 -30 minutes or until a toothpick inserted into the center comes out clean. Let cakes cool completely before frosting. For the frosting: beat the cream cheese, butter, vanilla and almond extract until combined. Mix in the powdered sugar, one cup at a time, until smooth. To assemble: Trim the cake domes if necessary. Place one layer on a serving plate, top side down. Spread frosting on top. Place second layer on top. 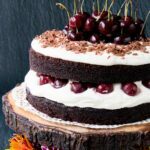 Cover cake with frosting. 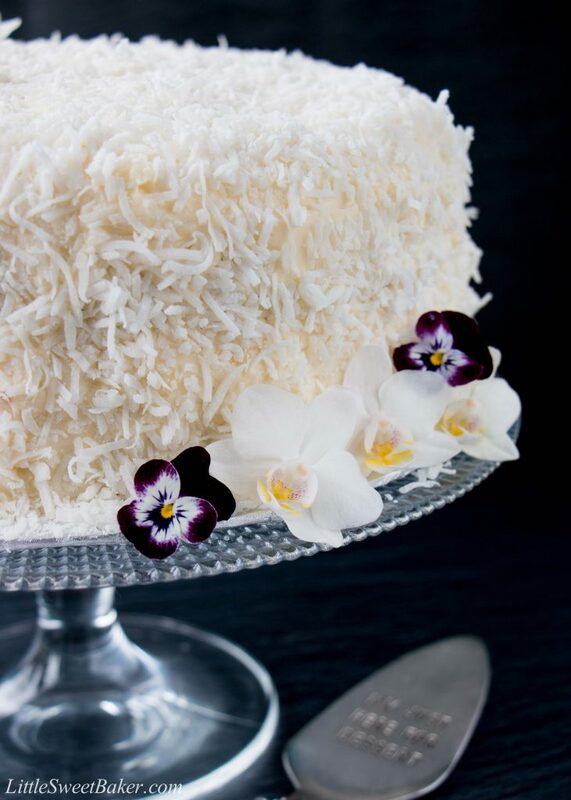 To decorate: lightly press the shredded coconut onto the sides of the cake and sprinkle with shredded coconut on top. Serve at room temperature. 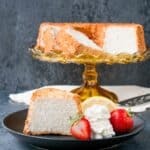 Leftover cake can be covered and stored in the refrigerator for 3-5 days.